They say everything is bigger in Texas, but Kentucky may have bested the Lone Star State for at least one weekend. Even before Drew Benton hoisted the trophy at the BASS Elite Series Texas Fest on Lake Travis, Jason Lambert had long cemented his FLW Tour victory on Kentucky Lake. In fact, he quit he final day before noon. Why? Because he’d already cracked the 100-pound mark and eventually broke the record for largest margin of victory in a tour event. Lambert’s victory was historic on many fronts, from him cracking 30 pounds on day three to him now having won the three of the last four major/minor events he’s fished on Kentucky Lake to the situation that arose between him and Randy Haynes. All that said, this past weekend was about as typical as it gets for him, as he put on a clinic plying offshore ledges with a Castaic Baits Jerky J (5 and 7 inch) fished on a homemade 1-ounce Scrounger-style jighead. Meanwhile, Benton is 5 years removed from his lone major victory, which just so happened to be his pro debut back when he fished the FLW Tour. Now on the Elites Series, Benton had been having a mediocre season. Of course, four good days of fishing can immediately turn any season into a great one, especially when they guarantee a Bassmaster Classic birth. While Lambert coasted to his victory, Benton had to sweat his out. Not only was his topwater bite with a Bagley Knocker B only happening in the early morning and afternoon, but he also had a penalty delay the final morning. Still, he managed to catch just enough to hang on for his for Elite Series victory. As for the rankings, Benton certainly has the upper hand over Lambert, as he’s now ranked 38th after his victory. 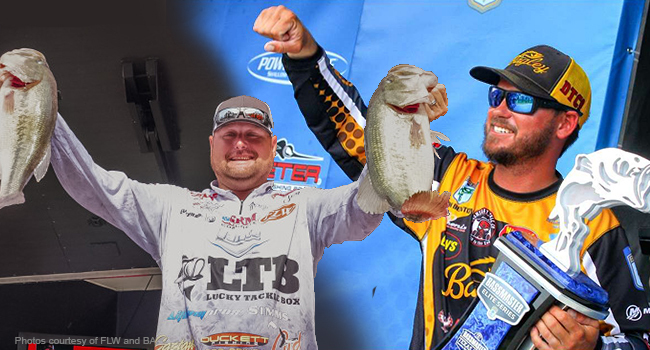 Lambert may wear the crown as the best ledge angler in the sport, but he’s basically an all-or-nothing guy. That doesn’t bode well for consistency. Hence, his 172nd ranking. Of course, that ranking gets thrown out the window on Kentucky Lake. As we stated, he’s won the last three May/June “ledge” tournaments there, but he also bombed at the Costa Series Championship last fall. Because of that bad event last fall, Lambert doesn’t hold the crown as the best angler on Kentucky Lake. That goes to Mark Rose, with his ridiculous 984.135 average. No surprise, he was in the top 10 again this weekend, and is all the way up to No. 6 in the Majors Two-Year Ranking. Also noteworthy is Jacob Wheeler continues to close the gap between he and Bryan Thrift for the top spot thanks to Wheeler’s runner-up this past weekend.